Rillsoft Project is unique in the quality and quantity of the features. 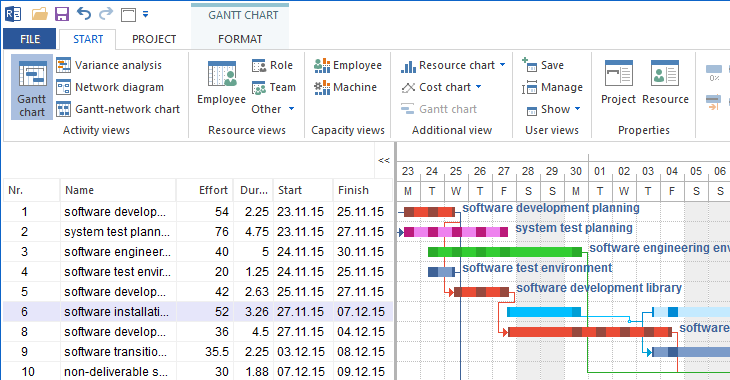 Scheduling with Gantt chart, network diagram and other views offers automatic scheduling through links for schedule changes or delays. Calculation of critical path and contingency reserve highlights any bottlenecks the project may have. 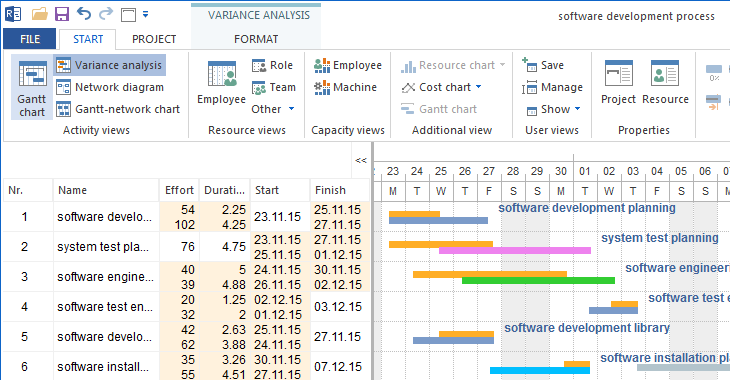 Capacity planning provides a detailed overview of the coverage of personnel requirements with existing labour capacity taking into account the necessary skills, nonworking time and scheduling in other parallel running projects. It is important that a capacity alignment of actual employee assignment occurs. 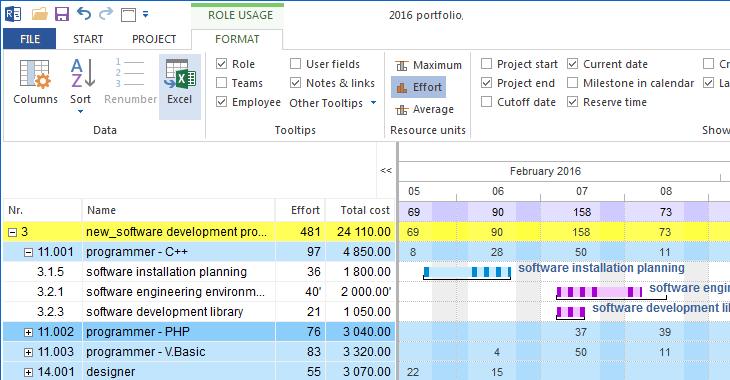 Multi-project management allows to summarize multiple projects by theme, department or other criteria in portfolio, to edit parallel and to detect resource conflicts better. Cross-project links make different projects dependent on each other, but without automatic date adjustment by changes in foreign plans. 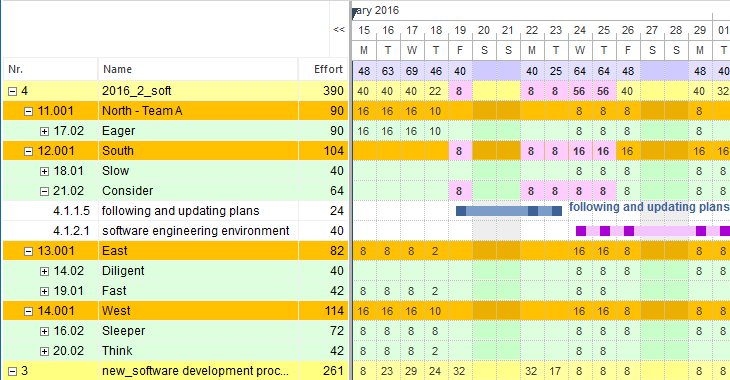 Role-based scheduling provides information about actual demand for generic resources with specific skills in project plans. Personnel placement planning enables a flexible and demand-optimized assignment of personnel resources for the individual work steps. An employee utilization view ensures that all overloads and shortages can be detected in time. 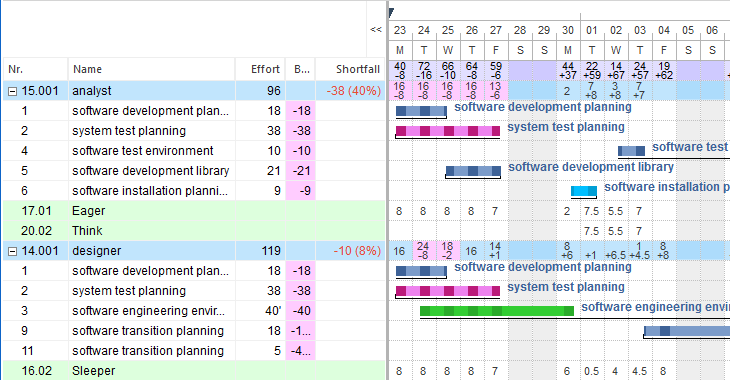 Project controlling is represented by feedback, execution status of tasks, financial control and variance analysis. In addition, email notification feature helps to keep the important due dates in mind. In case of incoming orders, a preplanning should be carried out in order to be able to offer the customers a real delivery date. Within this preplanning, the project managers carry out the detailed planning and update it. 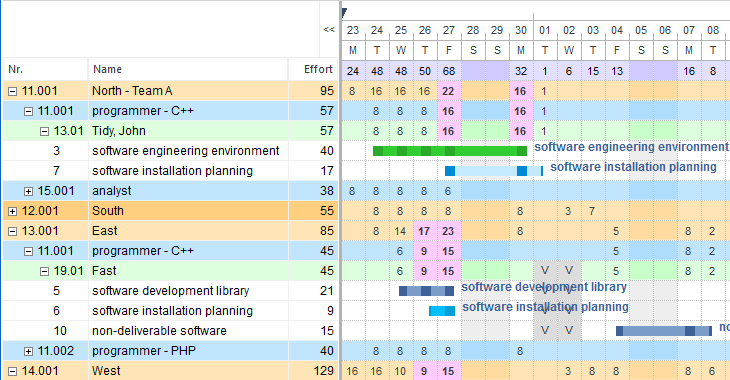 The available resources should be entered in the software and assigned to the tasks. Different daily working hours (on Mondays-Thursdays 8,5 hours and on Fridays only 6 hours). At some projects it should be worked on weekends. The usage should be visible not only totally but also for separate areas. Different orders should be managed at the same time.